First-class ABS coating, durable nylon strap and high-quality zinc alloy hook make sure the great safety performance, consistent control and long-time use. All materials are identified by ISO 9001 and CE. -Keep rope dog leash away from fire and kids under 3 years old. 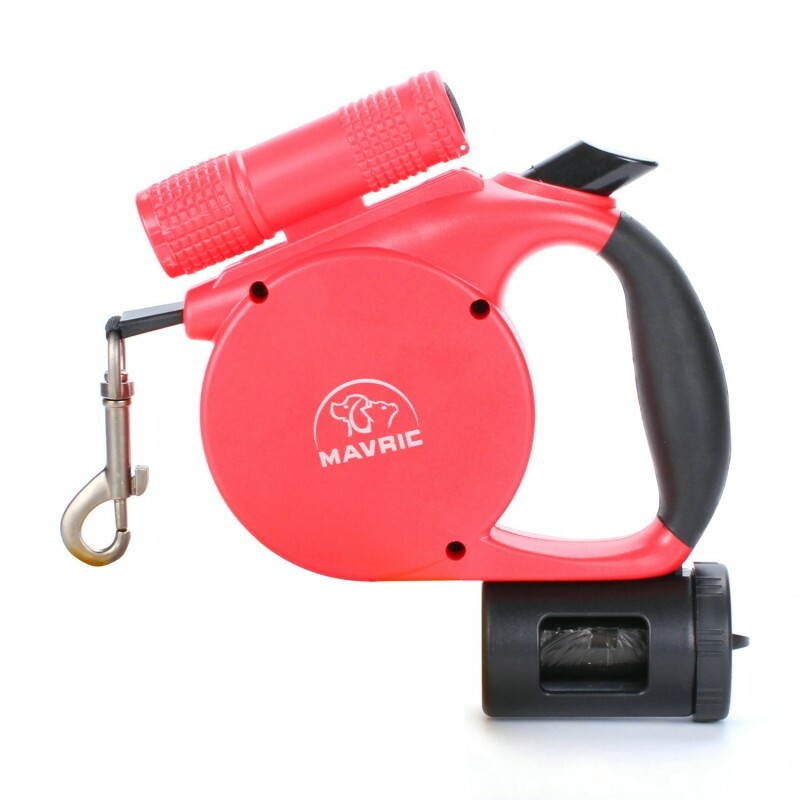 Retractable dog leash heavy duty is an ideal choice for pets walking. Multiple functions leashes can bring maximum convenience for you. You don’t have to bring all the tools you might need in your bag or something, the only thing you need is bring a multi-function leash, which can combine different tools together. Also, your beloved pets can enjoy great freedom and explore their natural activity under the help of 360 degree tangle-free design. Pets are our close friends and even family members. A user-friendly retractable design is both good for you and your pets. The light really helps when walking the pup at night and having the bag dispenser is also great. Works perfectly. The light really helps when walking the pup at night and having the bag dispenser is also great. Cool leash. Well built. Quick shipping. Very pleased with purchase. Highly recommend to all. Works as described! Thank you! Doesn't come with batteries for the flashlight. Everything else is perfect!